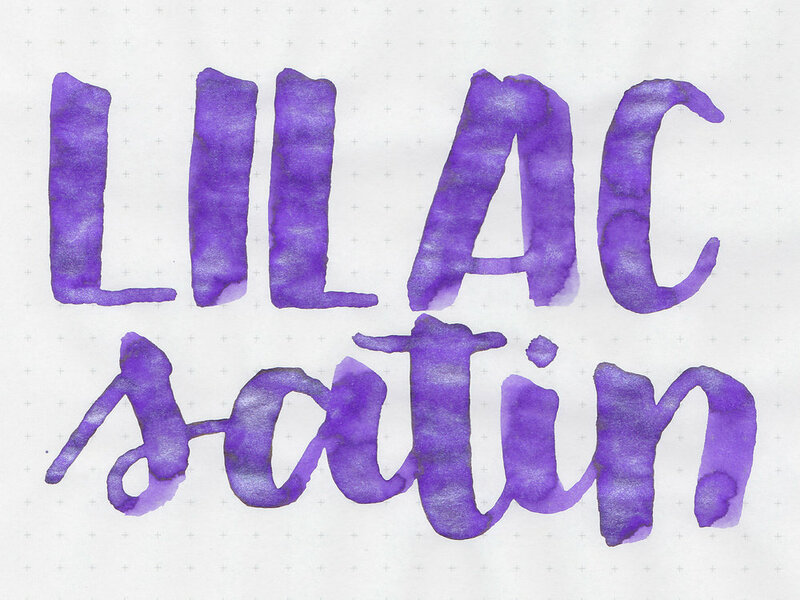 Today's ink is Diamine Lilac Satin, from the 2016 Shimmertastic Collection. I purchased my sample of ink from Vanness Pens. Lilac Satin is a beautiful light purple. When wet it looks more red-violet, but dries more of a blue-violet. It's a great spring color. There's just a little bit of gold sheen on the edges. The sheen is not visible in writing. Other properties: low shading, tiny sheen, and silver shimmer. 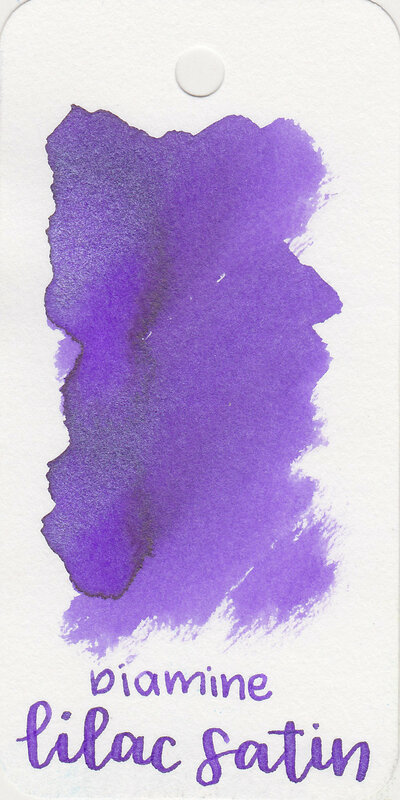 Ink swabs for comparison, left to right (top to bottom for mobile RSS): J. Herbin 1798 Amethyste de L'Oural, Diamine Lilac Satin, and Diamine Frosted Orchid. Click here to see the Diamine inks together. Monteverde Mulberry Noir, Montegrappa Violet, and Sailor Jentle Nioi-sumire. Click here to see the purple inks together. I used a medium Pelikan M605 White Transparent on Tomoe River paper. The ink had an average flow. I really liked this pen/ink combo. I didn't have any flow issues, the shimmer does drop out of suspension after a few lines, but doesn't disappear completely. Just rotate the pen a few times to keep it in suspension. Overall, I love the color of this ink. It's pretty well behaved for a shimmer ink, and has a decent dry time. I'm putting a bottle on my wish list.